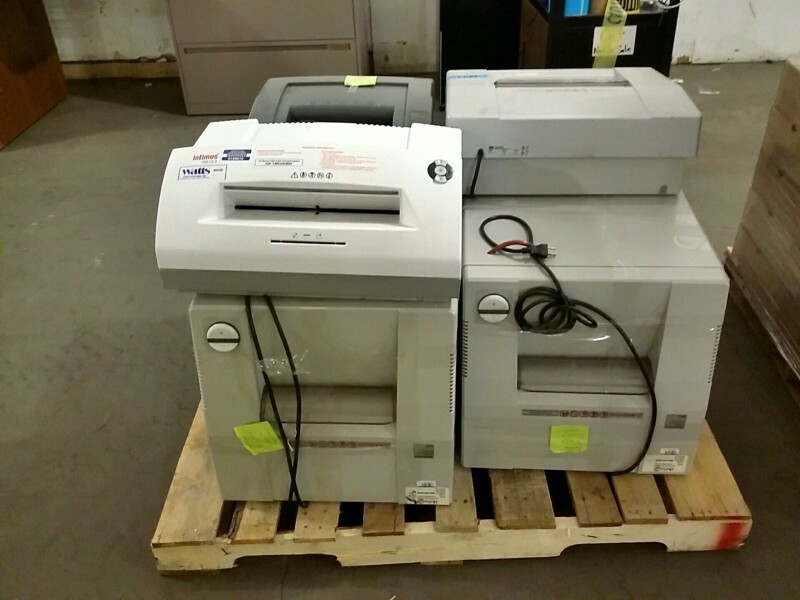 Description: 1 each pallet consisting of miscellaneous paper shredders. It is the customers’ responsibility to bring a copy of the invoice to pick up this property; we only ship property with the shipping companies that are at the bottom of this website. D) Failure to pay will result in bidder banned from the iBid website. THE ILLINOIS DEPARTMENT OF CENTRAL MANAGEMENT SERVICES WILL NOT PERMIT DELINQUENT PAYMENT OR PICKUP OF IBID MERCHANDISE. ALL UNPAID/UNCLAIMED ITEMS WILL BE RESOLD AND ABOVE PENALTIES SHALL BE IMPOSED ON DELINQUENT BIDDER. WHEN BIDDER MAKES PAYMENT BUT FAILS TO PICK-UP AWARDED PROPERTY, BIDDER SHALL ONLY BE ENTITLED TO A REFUND, LESS THE ABOVE PENALTIES ENUMERATED ABOVE. 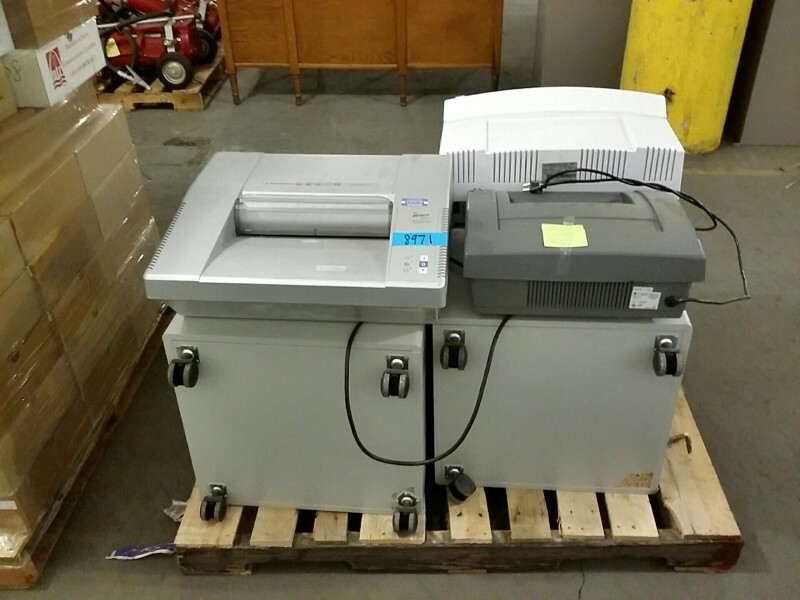 Preview and Pick up for this auction is from 12:30 p.m. to 4:00 p.m. Monday thru Friday, except for State Holidays.